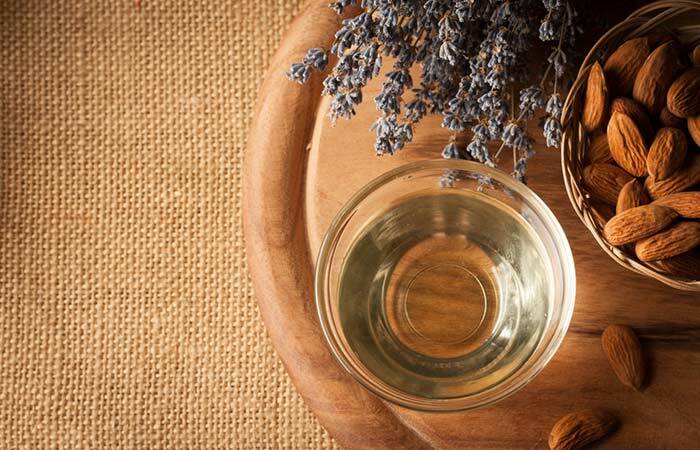 Homemade skin care products are trending right now. 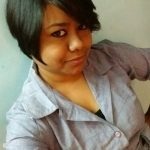 They are especially popular among those who do not want chemicals meddling with the chemistry of their skin and those who are bitten by the art and craft bug. The best thing about this trend is that you probably have most of the ingredients right at home. And the ones you don’t are readily available in stores. Here, I have shared some really easy homemade body wash recipes with simple ingredients. You will need a few simple ingredients to make a natural body wash at home. Let’s take a look at the ingredients list. This is a very common ingredient in most of the soaps and body washes available in the market. Glycerin (or glycerol) is a humectant that bonds with water to keep your skin moisturized and hydrated. Glycerin is excellent for treating dry skin and keeping it soft and smooth. It nourishes your skin, heals it, and enhances its appearance. Coconut milk possesses antibacterial properties and is beneficial for oily and acne-prone skin. It does not clog your pores and gently removes dead skin cells. It contains high levels of vitamin A, which is crucial for maintaining your skin’s elasticity. It also contains copper that reduces age spots and prevents the appearance of fine lines and wrinkles. It is incredibly soothing for sunburnt skin due to its anti-inflammatory properties. These oils are cold pressed and available in their purest form that contains the essence of the herb/ingredient they are prepared from. Essential oils are extremely beneficial for your skin. They not only reduce inflammation but also keep your skin healthy by getting rid of harmful free radicals. 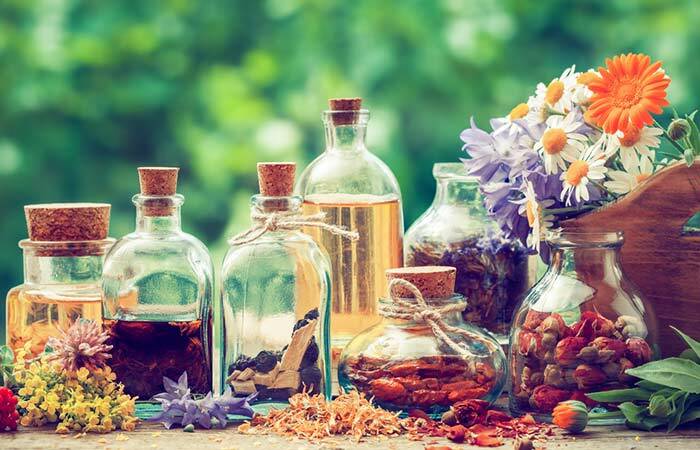 Some essential oils also have anti-aging benefits. Honey is a natural moisturizer that keeps your skin nourished without drying it out. It is an antibacterial agent that reduces inflammation and maintains the elasticity of your skin. This is why honey is perfect for dry, damaged, and itchy skin. It also has healing properties and can help in soothing sunburnt and blemished skin. 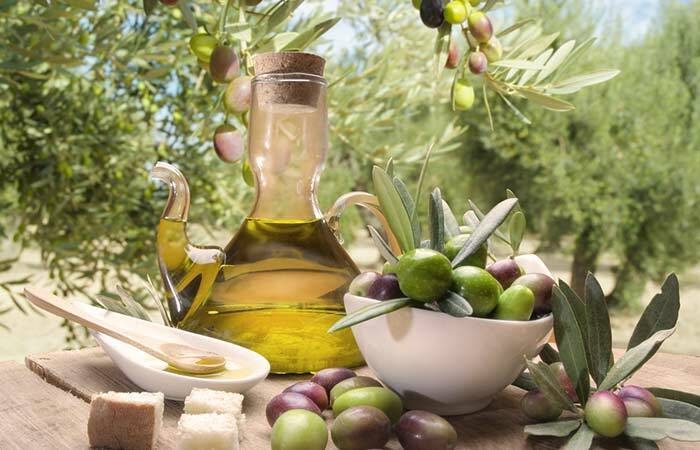 Olive oil is often used in body washes and soaps for extra moisturization. This oil nourishes your skin and does not make it feel dry and stretched. If your body wash has olive oil, you do not have to apply moisturizer after taking a shower. You will need liquid castile soap for making the body wash froth without adding any other chemical foaming agent. You can use unscented or scented castile soap. If you are using scented castile soap, skip using essential oils. Almond oil not only nourishes your skin but also makes it glow. Its moisturizing properties loosen the dead skin cells and make it easier for you to clean your skin. It soothes inflammation and calms your skin down. Castor oil contains essential omega-6 and omega-9 fatty acids, along with vitamin E and other proteins. All these components are good for your skin. This oil is known for its antibacterial properties and restores the moisture content of your skin. The moisturizing property of shea butter is unparalleled, but it is also known for its healing properties. Shea butter soothes skin allergies, sunburn, and rashes and promotes wound healing. It contains vitamin E that keeps your skin healthy. 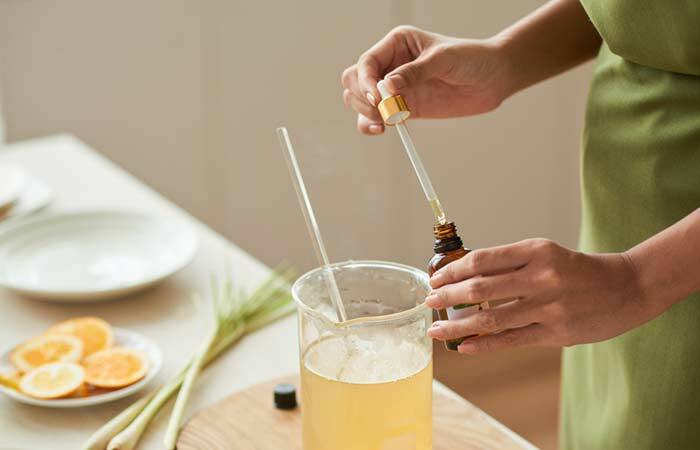 Now that you know all about the ingredients and what each of them does to your skin, let’s check out the homemade natural body wash recipes. Pour all the ingredients into a bowl and mix well. Transfer the mixture to a bottle with a pump dispenser. Essential oils and olive oil usually have a shelf life of 2 years. However, glycerin has a shelf life of about a year. So, it’s better to use your body wash within a year. 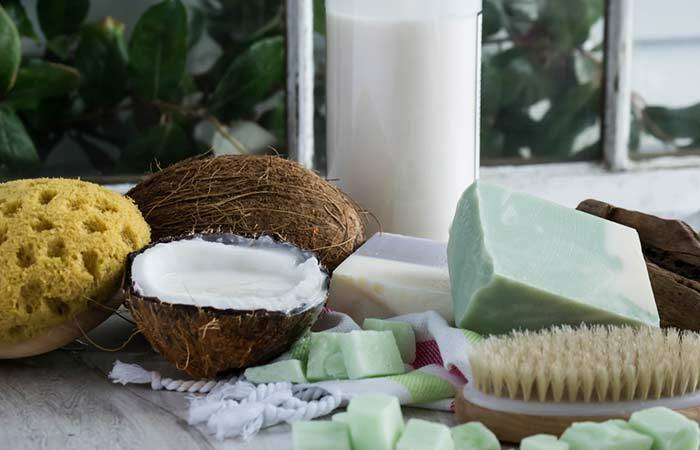 Pour coconut milk into a flip bottle and then add the unscented liquid castile soap to it. Add honey, glycerin, jojoba oil, and essential oils. Close the lid and shake it to mix the ingredients well. Pour on a bath sponge and use. Jojoba oil hardly ever goes rancid as it is not exactly an oil but the wax extracted from the jojoba tree. It has an indefinite shelf life. However, glycerin and essential oils have a shelf life of 1-2 years. So, try to use this body wash within a year. Pour the castile soap into a bottle and then add the glycerin. Add the essential oils and shake well. Note: You can use any essential oils of your choice for making this body wash. 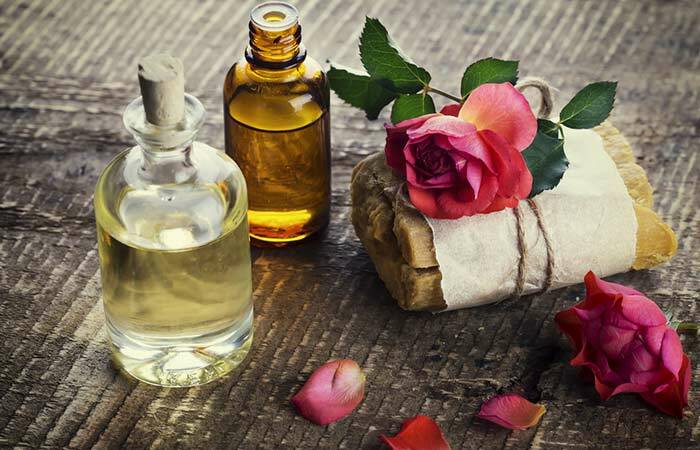 Some oil combinations that you can use are lavender, rose, melissa, jasmine, geranium, and cucumber seed. This body wash has a shelf life of 1 year. Pour the castile soap into a bottle. Add the honey, followed by castor and olive oils and then the essential oil. When stored in a cool and dry place, castor and olive oils can last for 1-2 years. This body wash should be used within a year. Pour all the ingredients into a bottle. Make sure you add the essential oils at the end. Shake well, and it’s ready to use. The homemade olive oil body wash has a shelf life of about a year. 3 soap bars of your choice. Boil the water in a stainless steel vessel. Microwave the soap bars for about 30 seconds or until they melt. Pour the soap into the water immediately. Keep stirring while you add the soap. Make sure every piece of soap has melted, and the water and soap have combined thoroughly. Transfer the mixture to a glass bottle and let it cool down. It will continue to thicken as it cools down (for about 24 hours). If it is too thick, add some water. Use this body wash within a year. Pour all the ingredients into a bottle and mix well. For mixing, do not use a stirrer. Just shake the bottle. When stored in a cool and dry place, lime juice lasts for 1-2 years. Rose water can last for up to 2 weeks (if prepared at home), and if it is store-bought, check the expiry date on the bottle. Sweet almond oil has a shelf life of 6-12 months. So, try to use this body wash within 2 weeks (if you are using homemade rose water). Otherwise, finish it off within 6 months. Pour the liquid soap in a bottle and add the other ingredients. Use the body wash within 6 months to 1 year. Mix the almond oil into it. Add the castile soap and the rose essential oil. Give it a gentle swirl and transfer to a bottle. Shake well to mix properly. This body wash has a shelf life of 6 months to a year. Grate the African soap (if it is solid) and add it to the water. Let it dissolve. Add the glycerin and the other ingredients. Transfer the mixture to a bottle and shake. The shelf life of this body wash is about a year. Nothing is as satisfying as choosing the ingredients and, at the same time, getting rid of all the harmful chemicals and preservatives. In the end, you are the one who decides what works best for your skin. Be your own skin care expert. Choose your ingredients, follow the instructions, and you are all set! Try out these body wash recipes today and don’t forget to share your feedback in the comments section below.